Lines that locomotives once carved through forests and neighborhoods are now the tranquil but active realms of walkers, runners and bicyclists. These 100-plus rail trails that criss-cross New York State are scenic settings for both keeping fit and touring new sights, all while benefiting the coffers of towns and businesses along the routes. 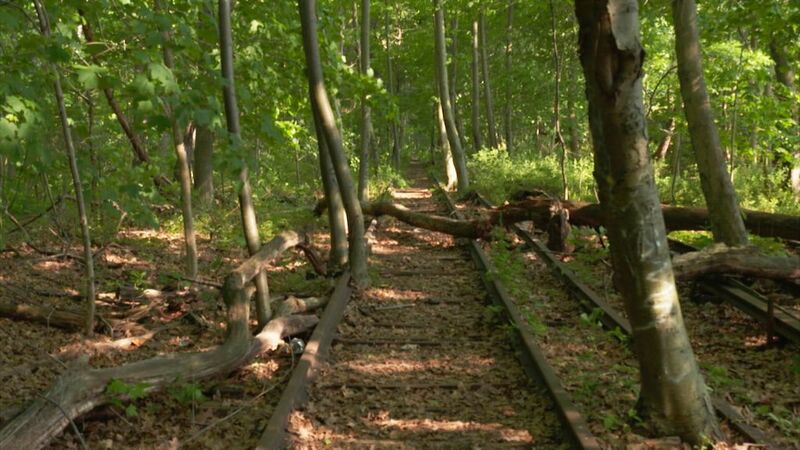 The new documentary Treasures of New York: Rails-to-Trails – premiering on Thursday, May 18 at 8pm on WLIW21 and Sunday, May 21 at 7pm on THIRTEEN – examines the movement that turned discarded and abandoned infrastructure into public parks and trails. 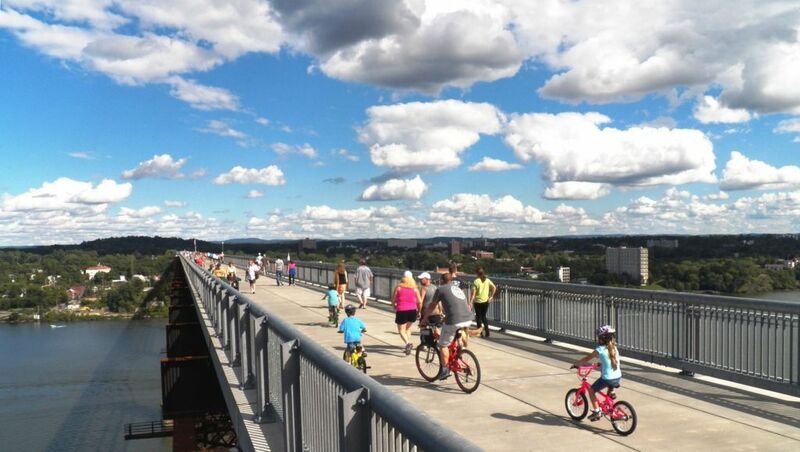 This movement has momentum: Governor Andrew Cuomo has announced a bold plan for a network of 750-miles of trails, spanning from New York City’s harbor to Canada, and from the state capital of Albany to Buffalo in the west. High Line Gansevoort Grasslands planting. 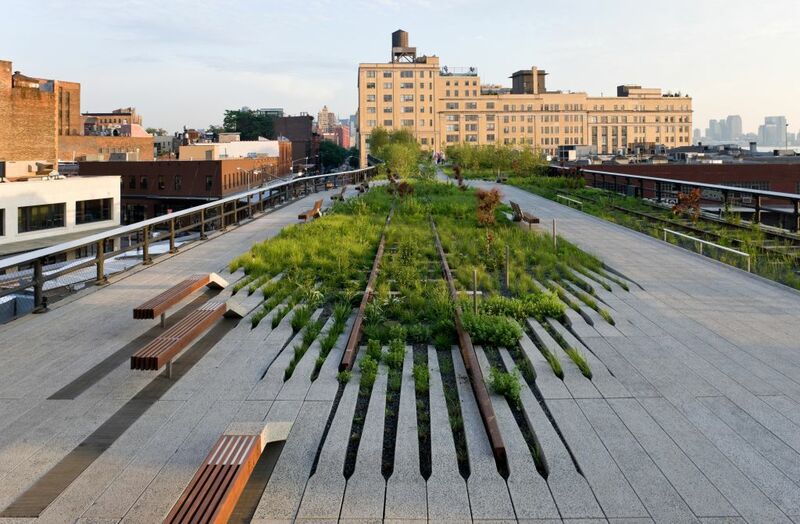 Photo courtesy Friends of the High Line. Spanning a mile and a half from Gansevoort Street to West 34th street along Manhattan’s West Side, the High Line has become a green alternative to getting from “here to there” in the big city. Perched 30 feet above the streets of Manhattan, this aerial greenway replaces the New York Central Railroad’s abandoned “West Side” line, which once unloaded freight into warehouses along the Hudson River. This now lush park of native plantings seamlessly marries art and sculpture with elements of its railroad past. The park is packed with both locals and tourists on any sunny day. This trail is for casual strolling — not for joggers. Note that no bicycles or dogs are allowed on the High Line. Standing 212 feet high, the former Poughkeepsie-Highland Railroad Bridge over the Hudson River spans over a mile and a quarter, making Walkway Over the Hudson the longest pedestrian bridge in the world. New York includes it among its State Historic Parks. On a clear day, views span 20 miles to the north and south. 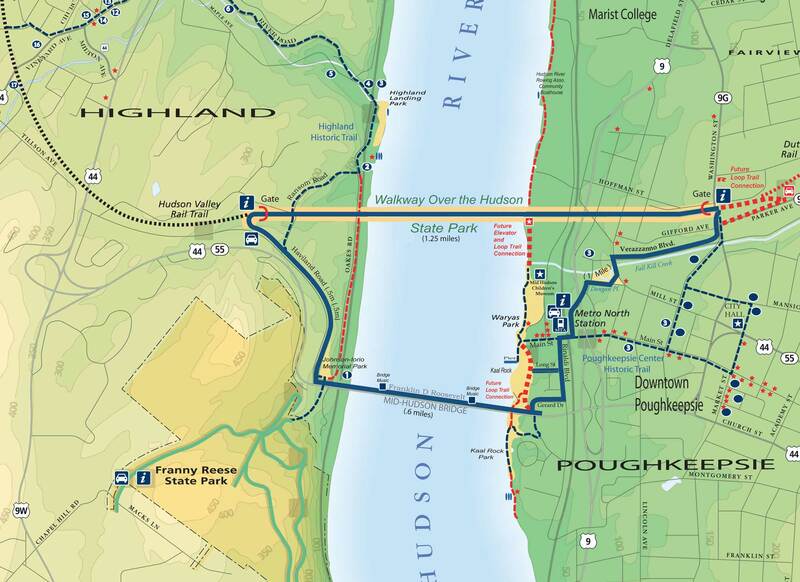 The Walkway Loop Trail and links to the Hudson Valley Rail Trail (Ulster County side), make longer excursions possible. The Walkway Loop Trail is a 4.5-mile route that links Walkway Over the Hudson with the Mid-Hudson Bridge to the south, and with cultural and recreational sites to the east (Poughkeepsie in Duchess County) and west (Lloyd in Ulster County, along border of Franny Reese State Park). Bicyclists along the Erie Canalway Trail. The 360-mile Erie Canalway Trail stretches from Albany to Buffalo alongside a canal system that dates to 1825. The trail is 80 percent complete, with a few inconvenient gaps that are scheduled to be closed by 2020. The nonprofit advocacy group Parks & Trails New York organizes the annual Cycle the Erie Canal bike tour, which takes place July 9-16 in 2017. The ride provides interactive “cue sheet” maps for participants, which is useful for anyone planning a trip on the trail. Parks & Trails New York also has thorough tips on its interactive map. Parks & Trails New York offers this pdf report (2015) on the state of gaps along the Erie Canalway Trail, including when these parts are scheduled to be incorporated into the trail. The Friends of the QueensWay formed in 2011. Friends of The QueensWay advocate to make a rail trail out of a former branch of the Long Island Railroad. The Friends of the QueensWay and the Trust for Public Land have partnered to propose a multi-use 3.5-mile path along a former Long Island Railroad Rockaway Beach Branch line. The QueensWay would connect the residential neighborhoods of Rego Park, Forest Hills, Glendale, Woodhaven, Richmond Hill and Ozone Park, and pass through Forest Park. Events like the QueensWay Spring Tour 2 are raising awareness of the plan (so much so that the tour on May 20, 2017, is sold out!). The map below marks the location of the proposed site; see the official QueensWay site for an interactive map with planned amenities. One of the manmade attractions within the great wilderness of the Adirondacks region is the Adirondack Scenic Railroad between Utica and Lake Placid. 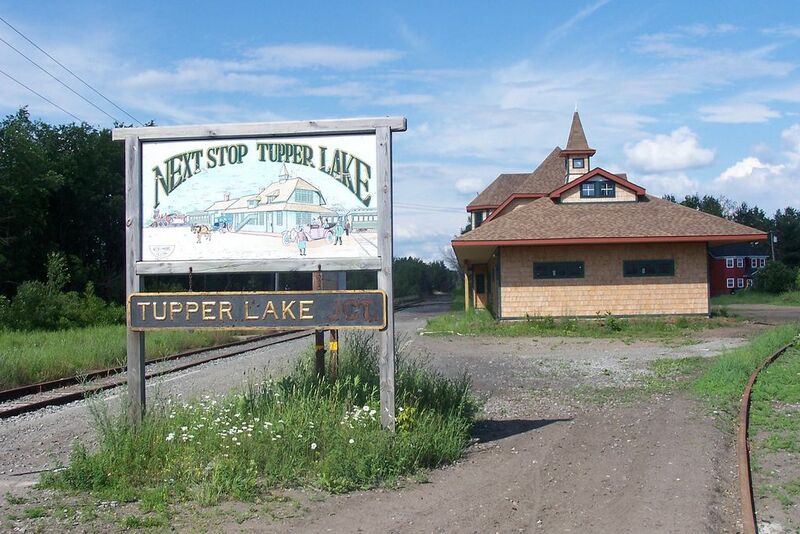 In 2016, after three years of debate, New York State decided that the Adirondack Scenic Railroad could keep its southern line from Utica to Big Moose and be able to extend the line to Tupper Lake. 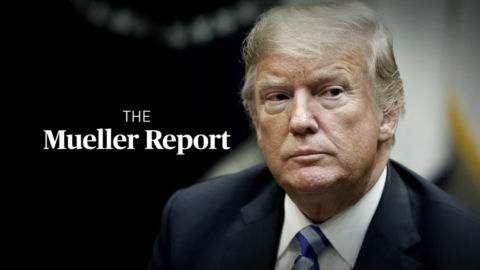 But the railroad would also have to relinquish 34 miles of track between Tupper Lake and Lake Placid, which would become a rail trail. 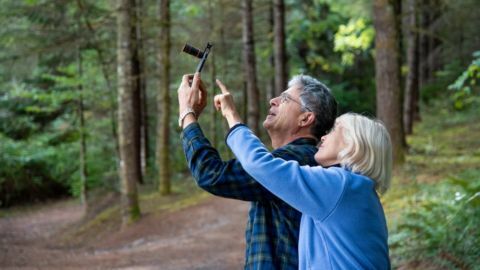 That was happy news for ARTA – The Adirondack Recreational Trail Advocates – which formed in 2010. The proposed Adirondack Rail Trail will serve bicyclists, runners, walkers, birders, wheelchair users — and a must for the region — snowmobilers. However, the Adirondack Preservation Society, which doesn’t agree with the rail-trail plan, has filed a lawsuit to challenge it. Over the past fifty plus years, close to 23,000 miles of forgotten track have been transformed into more than 2,000 rail trails in the United States. Enormous progress was made was when a landmark federal law in 1991 freed up funds for bike and pedestrian trails. 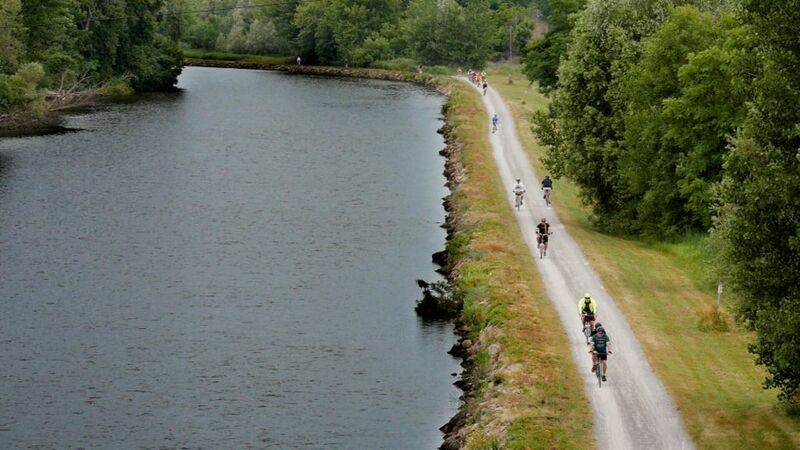 Here are just a sampling of rail trails outside New York State. Wisconsin’s Elroy Sparta Trail. The first Rails-to-Trails project in the country is a 32.5 mile route along an abandoned bed of the Chicago & North Western Railroad, between the towns of Elroy and Sparta. It’s a favorite bicycling destination and passes through three rock tunnels and five small towns. Bizz Johnson National Recreation Trail. This route carves through the canyons of Northern California’s High Country, between Westwood and Susanville in Lassen County. Horseback riding is also an option here! The annual Rails to Trails Festival takes place the Saturday of Columbus Day Weekend at the historic Susanville Depot. Chicago’s Elevated 606. The elevated Bloomingdale Trail is the centerpiece of the 606, which connects to parks in six neighborhoods, including Logan Square. It gets its name from 606 – the prefix of Chicago zip codes. The first phase of the project was completed in June 2015. The Atlanta Beltline Over the course of 33-mile network, The Beltline cuts through city neighborhoods and has a core, 22-mile corridor that follows original railroad segments, and extends to parks and other trails. Have you explored these or other rail trails? Thanks for sharing any tips on locations, logistics, or travel by season to the comment section, below. We’ll be looking for photos of your favorite rail trails on Instagram — use the hashtag #TreasuresofNY. 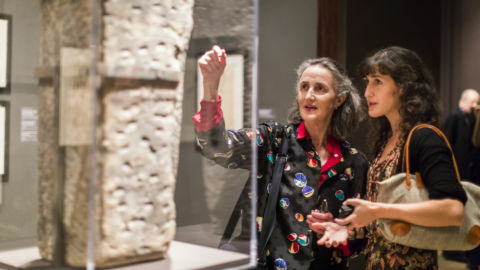 Get more ideas for local travel by watching episodes of Treasures of New York.